The Mofo Chronicles: 'Let it Go' Mofo.. I hope everyone is enjoying the holidays with family and friends old and new. As for me.. I came up to Asheville, NC to visit the family and unfortunately got what everyone and their mammy was asking for: A WHITE CHRISTMAS...complete with up to 8-10 inches of the white fluffy stuff with a side of ice. For us in the mountains that means SNOWED THE F IN.. but hey.. whatevs.. its kool..for now.. so being that the roads are filled with ice and snow, my sister and I decide to walk to the Family Dollar that's down the street. Just cuz it's me..you know I have a wonderful story to tell about the adventure right? First the walk to the store was a slippery sliding mess..but that's not the point of this blog..
Antyway.. there's not a whole lot of people in the Family Dollar..so we're just wandering around looking at ish we aren't going to buy in order to warm up before we make the trek back to the house. are ya'll ready for this..? Her: Scruse me.. Scruse me! 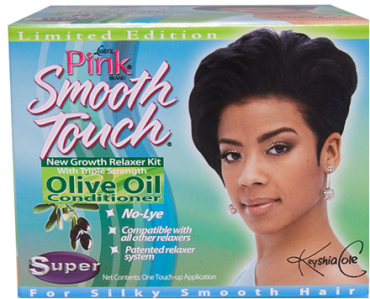 I'M LOOKING FOR DA PERM WIT KEYSHIA COLES ON IT. Now..you know I'm nosey..so I turn around and walk over to grab my sister and bam...we run right into them.. Her: Scruse me..do ya'll know who **puff on the black and mild** Keyshia Coles is? Her: Well, dey done sent me up here to da sto' **puff on the black and mild** sent me up here to get da Keyshia Coles perm. My Sister: Uhhhhhh...I don't know what perm that is. Ray Ray then informs us all that he knows who Keyshia COLES is..and he turns and goes to the ethnic beauty products section (I swear I hate that they call it that..but anyway..)and of course, cuz we are nosey as hell, we follow em. Uhhh..I don't see her on any of the boxes but there's LeToya from Destiny's Child on that box. Her: Dey tole me to get the one with Keyshia Coles on it. Ray Ray: I don't see her on here. Just get the Dark and Lovely. Her: NO! We pose to get Keyshia Coles Perm not no dark and lovely. Chick keeps looking at me (I have on a hat and sunglasses and scarf so my face is covered the hell up).. She says she knows me from somewhere..
Me: Uhhhhh naw.. I don't think so. Her: YEP I SHOLE DO.. You in my class at AB-Tech.. Her: mmmmk.. **puffs on black and mild** You thank they got dat Keyshia Coles perm at da Dolla General? They probably do.. let's go there. Me: Uhhh they sell perms there so they might. blink blink (I ain't crazy..I just co-sign with crazy and ghetto folkz cuz I ain't tryin to get burnt with that black and mild)..
My sister: You betta hope they have that damn Keyshia Cole perm at the Dollar General or she gonna come back looking for you.. Lesson Learned: Mind my own biznass. Black folkz just make me tired sometimes. If you gonna send someone to the store to get you some ish.. can you please have the CORRECT name and EXACT product of what you sending them to the store for?It saves other shoppers nerves especially when mofos ain't on their job like they are supposed to be. Hilarious! People like her amuse me to no end. Your account of this is hysterical. Love it. I am choking over here! "Dat Perm with Keisha Coles on it"...DEAD!